Radiohobby.nl • Toon onderwerp - FRN 19th October 2017 active or not. Berichttitel: FRN 19th October 2017 active or not. I been trying to get a password sent to set up the client for days. Sometimes its been the red error network warning other times green password sent. I never receive the email password. Also tried Android client, the same. So is the system now finished or do i wait for something. I don't want to spend money on making the radio interface if this is the end of the road. 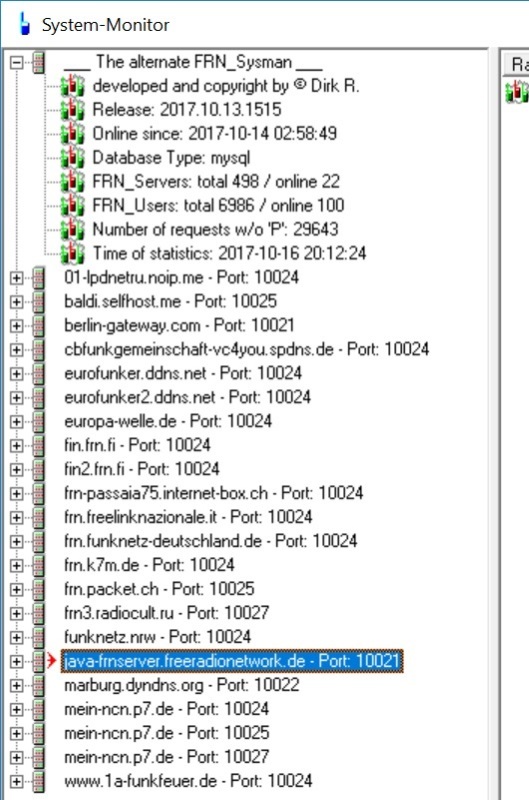 Berichttitel: Re: FRN 19th October 2017 active or not. The system Manager isn't working at this moment. We'll have to wait. Note: In that forum post is a small typo: the relevant INI file section is [SystemManager] (without a space between System and Manager).